Trying new things | Alpaka Me! 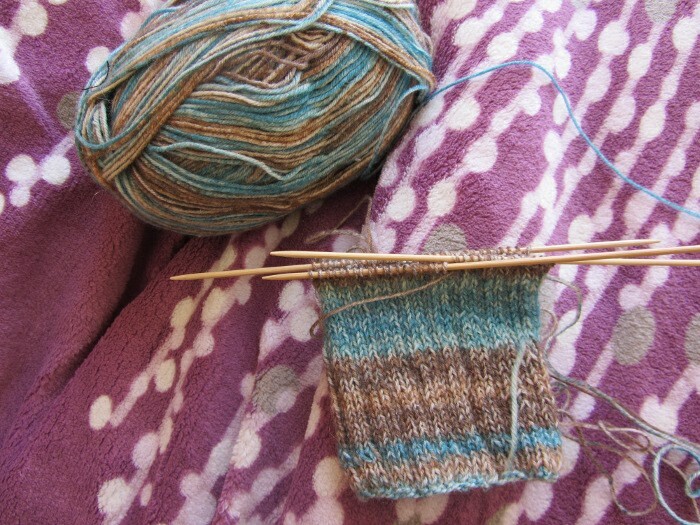 The first time I was introduced to knitting, I was on a study trip for 4 weeks in Denmark. That was 2005. Well, that is not actually true. My mother always used to knit at home. But she liked crocheting always better than knitting, so I rather did that as well and was never really interested in learning how to knit. This is why I count this trip as my first impulse to try knitting. In Denmark, to be more precise on the Erthomlene, I lived with the resident doctor. I loved staying with her, I felt like a daughter and she helped me with whatever she could to develop a good study report. I just finished the 2 years of stressful “Abitur” and was glad to just relax and quiet myself on these little islands. Like all Danish (stereotype or reality?) she as well is an enthusiastic and busy crafter. Thanks to her I started again to crochet which I completely left out during the busy “Abitur” phase. 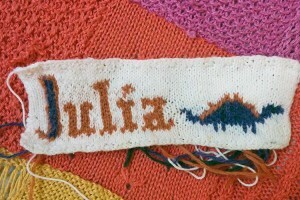 She on the other hand was always in some knitting project, e.g. the rainbow-colored socks she gave my as a farewell present. With this my desire to learn knitting started. Nowadays I try to learn something new on every travel I take. With more time in a foreign country I just have more peace to try something difficult or simply new. For Mexico I’ll try some knitting of socks. Can you believe it? I’m knitting now for 7 years and haven’t tried any socks yet?! Now the time has finally come. For the pattern I decided to use one from Simply Sockupied 2012 by Interweave. And then of course it happened: I met an Italian girl in a hostel on Isla Mujeres that taught macrame there. So, I tried macrame as well! 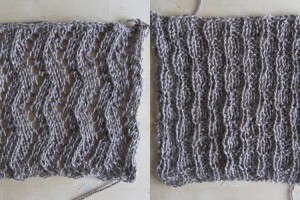 Actually, I did this a few years earlier already but with the yarn we used, it was so much easier and better this time. At least for the headband I tried. 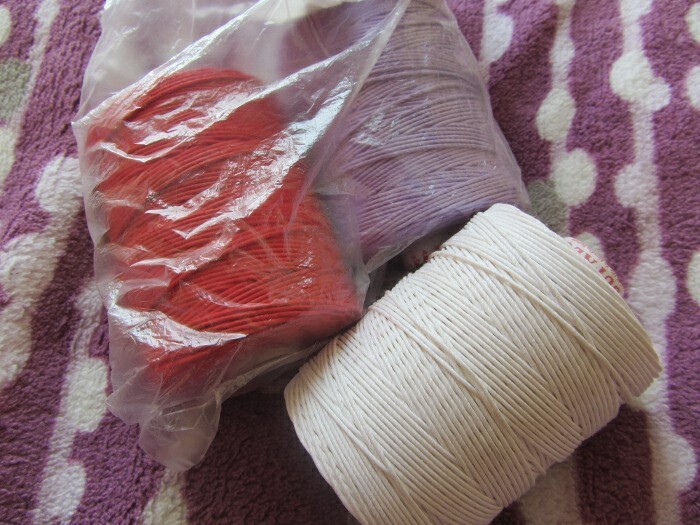 The yarn was some kind of nylon thread with a wax coating. Does anyone have a clue where to get those in Germany/Europe? The Italian told me, I can get this in every little artisan craft shop throughout Mexico but the bobbins I bought at the end were just not the same. Finally, I remembered my childhood when my craft-loving started with the making of friendship bracelets. The knots are pretty similar to macrame and I would say those bracelets are a variation of it. In any case, my travels to the Maya ruins inspired a bit to try a design for such a bracelet. Now I wonder if I just publish a tutorial for it. Ja bitte gerne. Letzten geburtstag hat mir meine Freundin so ein Band geknotet, ich liebe es sehr. Und hab dann auch mal probiert, da ich das als Kind schonmal gemacht hatte dachte ich es klappt ganz einfach, aber nüscht wars, habs nicht hinbekommen. An Makramee erinnere ich mich auch, das hat viel Spaß gemacht damals, das in modern wäre auch mal was, aber eigentlich ist das doch schon ne andere technik wenn auch ähnlich…also ich sag Ja zum Tutorial, muß nur noch rausfinden wie ich Dir folgen kann, muß wahrscheinlich ein Mailabo machen..